This is one of the first filmmaking books I read at film school and is still one of the best ever written. In Rebel Without a Crew, famed independent screenwriter and director Robert Rodriguez (Sin City, Sin City 2, Once Upon a Time in Mexico, Spy Kids) discloses all the unique strategies and original techniques he used to make his remarkable debut film, El Mariachi, on a micro budget. This is both one filmmaker’s remarkable story and an essential guide for anyone who has a celluloid story to tell and the dreams and determination to see it through. Part production diary, part how-to manual, Rodriguez unveils how he was able to make his influential first film on only a $7,000 budget. In this comprehensive guidebook, three very experienced entertainment lawyers disclose everything you need to know to produce, market and sell an independent film. From the development process to deal making, financing, setting up the production, hiring directors and actors, securing location rights, acquiring music, calculating profits, digital moving making, distribution, and marketing your movie. Highly recommended. This all-new second edition has been completed updated. In the Blink of an Eye is celebrated film editor Walter Murch’s vivid, multifaceted, thought — provoking essay on film editing. Starting with what might be the most basic editing question — Why do cuts work? — Murch treats the reader to a wonderful ride through the aesthetics and practical concerns of cutting film. Along the way, he offers his unique insights on such subjects as continuity and discontinuity in editing, dreaming, and reality; criteria for a good cut; the blink of the eye as an emotional cue; digital editing; and much more. From one of America’s most acclaimed directors comes one of the best filmmaking books that is both a professional memoir and a definitive guide to the art, craft, and business of the motion picture. Drawing on 40 years of experience on movies ranging from Long Day’s Journey Into Night to The Verdict, Lumet explains the painstaking labor that results in two hours of screen magic. When it comes to producing, no one speaks with more authority than Lloyd Kaufman, founder of the longest-running independent film studio, Troma Entertainment. He reveals the best ways to seek out investors, scout locations, hire crew and cast talent, navigate legalities, and stay within your budget. Dov Simens was one of my first guests on the Indie Film Hustle Podcast and has become easly one of my most popular. From screenwriting & budgeting to marketing, Dov Simens provides encyclopedic, precise, & creative instruction for putting your vision up on the screen. 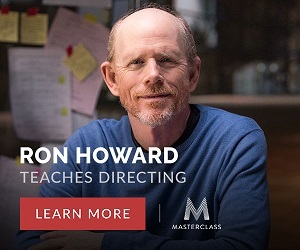 With his agreesive and no bullsh*t approach, you’ll learn everything you need to know to create a successful indie film. A staple of indie filmmaker’s bookshelves for well over a decade, the latest edition of The Filmmaker’s Handbook has revitalized all of the essential knowledge which it has become known for and brought it right up to date. Widely acknowledged as the “bible” of video and film production, and used in courses around the world, The Filmmaker’s Handbook is now updated with the latest advances in HD and new digital formats. For students and teachers, professionals and novices, this indispensable handbook covers all aspects of movie making. A critical analysis of the rise of independent filmmakers examines Robert Redford’s Sundance Film Festival, the success of Miramax, and the careers of independent filmmakers whose work has transformed Hollywood and the film industry. When the low-budget biker movie Easy Rider shocked Hollywood with its success in 1969, a new Hollywood era was born. This was an age when talented young filmmakers such as Scorsese, Coppola, and Spielberg, along with a new breed of actors, including De Niro, Pacino, and Nicholson, became the powerful figures who would make such modern classics as The Godfather, Chinatown, Taxi Driver, and Jaws. Easy Riders, Raging Bulls follows the wild ride that was Hollywood in the ’70s. Pierson’s name may not be a household one, but the filmmakers he’s been associated with – Spike Lee, Michael Moore, Jim Jarmusch – are well known to fans of independent films. Pierson has been friend, investor, and, most importantly, business agent to these and lesser talents and has been a fixture on the festival scene for over a decade. Go behind the scenes & see John Pierson’s pivotal role in the launching of such films as Stranger than Paradise, Clerks, She’s Gotta Have It, and Roger and Me. Enjoyed the Filmmaking Books You Need to Read – Top Ten List? Please share it in your social networks (Facebook, Twitter, email etc) by using social media buttons at the side or bottom of the blog. Or post to your blog and anywhere else you feel it would be a good fit. Thanks. Great list! Ill read the few I haven’t yet. I’m not sure if you consider this a “filmmaking” but I feel like I’ve taken an entire course after leaving the pages of Bresson’s “Notes on Cinematography”. It’s one of my favorite film books of all time. @armanddc <- let's talk movies on Twitter!